← Delegates at the National People’s Congress meeting. 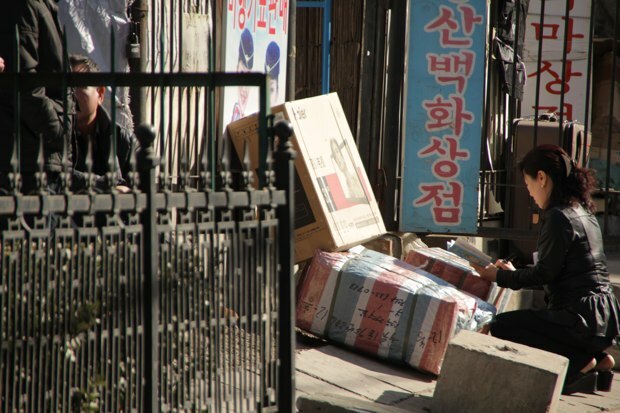 Does North Korea need food or flat tv screens? While walking around Beijing DPRK embassy this morning on my way to office, i was “amused” by the present scene: dprk embassy employees buying and packing lcd screens in front of some local dedicated groceries (which can actually provide them with much more than kimchi) near Fangcaodi Xi lu. Destination: Pyongyang. The day before, I read that North Korean leaders were begging for food in Zimbabwe, because of an “appalling food shortage and misuse of public spendings”. Here in Beijing, North Koreans seem to have other priorities. See my story on North Korean restaurants in China (in French/paywall) + my slideshow on the ‘little pyongyang of Beijing’. This entry was posted in medias, politique and tagged dprk, lcd, north korea, tv. Bookmark the permalink.